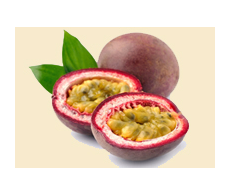 Our tropical passion fruit and white infused balsamic can be used in shrubs, mixed cocktails, over berries or cut up fruit. Makes a wonderful glaze or addition to marinades and dressings. Especially delicious in ceviche or seafood cocktails. Pairs well with Persian Lime olive oil, Mandarin olive oil, Blood Orange olive oil, Toasted almond oil, Toasted Sesame oil, Baklouti olive oil, and any UP extra virgin olive oil.